Postal Flowers is Irelands leading online flower delivery service. Postalflowers.ie we have gained a reputation for the quality of our flower arrangements and our delivery service. We can offer same day and next day flower delivery options to all areas of County Offaly. Postalflowers.ie deliver flowers, balloons, chocolates, teddy’s and gift sets to offaly for all special occasions: Birthday flowers, anniversary flowers, funeral flowers, sympathy flowers and new baby flowers. We also provide flowers for weddings, funerals, birthdays and anniversaries. Each flower arrangement contains fresh cut flowers expertly hand-tied by our experienced florists and we also cater for different price ranges and bouquets are available for all budgets. 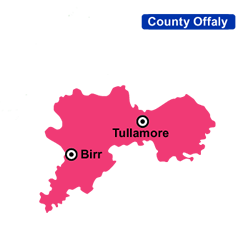 Flower delivery is available to County Offaly areas. 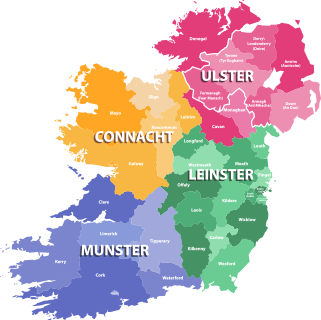 We cover most of the county and deliver flowers and balloons to the following areas; Aghancon, Aghanvilla, Ballinagar, Ballyboy, Ballycommon, Ballycumber, Ballydaly, Banagher, Bellmount, Brorra, Birr, Bleach Hill, Blue Ball, Boheraphuca, Bracknagh, Brosna, Broghal, Cadamstown, Cangort, Clara, Clareen, Cloneygowan, Clonfert, Clonmacnoise, Clonmore, Clonony, Clonown, Clonsast, Clongowan, Coolagarybeg, Creevagh, Crinkill, Croghan, Cushina, Daingean, Derryclure, Derrycoffey, Doon, Drinagh, Dunkerrin, Durrow, Edenderry, Esker, Ferbane, Fivealley, Frankford, Greashill, Groghan, Gurtagarry, Kilcavan, Kilclonfert, Kilcomin, Kilmormac, Killan, Kileigh, Killyon, Kinnitty, Lacka, Lismoyny, Monasteroris, Moneygall, Mountbolus, Mountlucas, Mucklagh, Oughter, Phillstown, Rehan, Rath, Rhode, Riverstown, Screggan, Shannon Harbour, Shannonbridge, Shinrone, Srah, Tober, Tullamore and Walsh Island. There may be some wards that do not accept flowers such as ICU & Respiratory wards. Please contact the hospital to confirm that flowers are allowed.